SWOT analysis is a method of the making plan for evaluate the Strengths, Weaknesses, Opportunities, and Threats involved in a project. It involves specifying the objective of the project and identifying the internal and external causes for the accomplishing project goals. The ConceptDraw DIAGRAM is a best diagram software. The SWOT Analysis solution includes the SWOT matrix samples, and templates that allow users create own SWOT diagram. Sample 1. 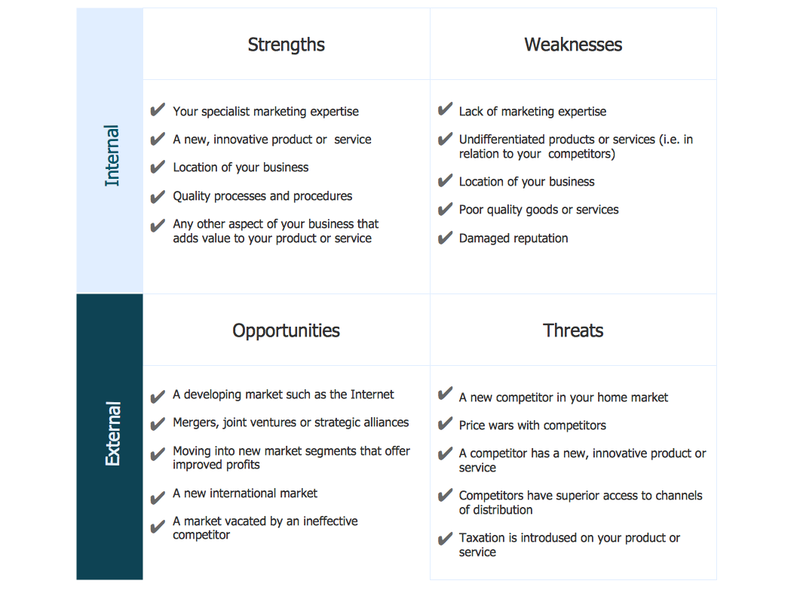 SWOT analysis sample - Innovative business.